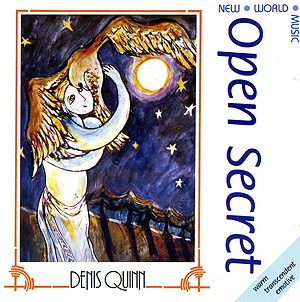 Open Secret was re-issued by Voiceprint on 16th March 2009 with three previously unreleased tracks from the original sessions (The Power of Love, Song of the Morning and Shine Brightly) included as extra tracks. All three extra tracks were newly mixed from the original multi-track masters from Ant's archive. NB: USA cassette and CD releases have different cover artwork to the New World release. The 2005 and 2009 re-issues had different cover artwork to either of the previous releases.